Located within Griffith Park, the historic Greek Theatre stands as one of the nation’s most beloved and recognized outdoor entertainment venues. Throughout its history, the Greek has played host to some of the biggest legends in music – from Sir Elton John, Aretha Franklin, Frank Sinatra, Bruce Springsteen, Carlos Santana and many more in between. This iconic venue has also served as a site for numerous high school graduations, community events and backdrops for television shows and motion pictures. The Greek Theatre is owned by the City of Los Angeles and managed, operated and booked by SMG. The 5,900 capacity outdoor venue is among the City’s most cherished public sites. The history of the Greek Theatre dates to 1882, when Colonel Griffith J. Griffith, came to America from South Wales to seek fortune in gold mining. Colonel Griffith settled in Los Angeles and purchased the Los Feliz Rancho, which he later donated to the City of Los Angeles in 1896. This three thousand acre gift to the residents of Los Angeles was given with the intent that Griffith Park would be made an eternal place of public recreation. it must be made a place of recreation and rest for the masses, a resort for the rank and file, for the plain people. For 16 years, the dedicated land remained in its natural state - a grand public park and symbol of open recreational space. In 1919, Colonel Griffith’s will left instructions setting up a trust fund of $1,000,000 for the construction of a world-class observatory and a Greek Theatre, where residents of the city he so tirelessly served and loved, could forever come to enjoy the best entertainment in the world. After an extensive survey of Greek theatres throughout the world, the City’s Park Commissioners approved a design for the building, incorporating a number of modernizations to the standard Greek Theatre model. In 1928, the Greek’s cornerstone was laid, with the official building dedication on Sept. 25, 1930. 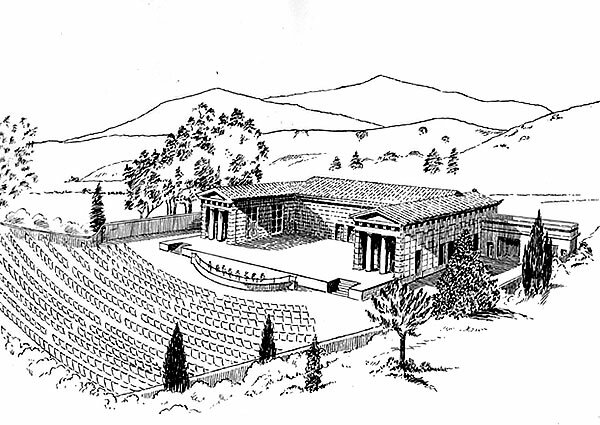 The first seasons at the Greek provided operatic music and according to the Los Angeles Times, the first show on June 26, 1931, was attended by nearly 4,000 patrons. Seats in the first two sections sold for $1 and the remaining seats were free. The 1930s brought additional musical and theatrical arts and during most of the 1940s, the Greek was used as a barracks during World War II. Later, a San Francisco-based theatrical producer brought stage shows like Showboat and Anything Goes, for multiple week, summer engagements. Since the 1950s, promoters and entertainment companies alike have partnered with the City to help sustain, support and bring improvements to the theatre’s house and backstage areas to stay current and compete with other similar renowned amphitheatres. In the 1980s, the Greek expanded its seating and continued to expand up through the 1995 earthquake retrofit. In 2006, the Greek underwent a multi-million renovation restoring the theatre’s original façade in celebration of the venue’s 75th Anniversary, bringing the capacity to its present 5,900. 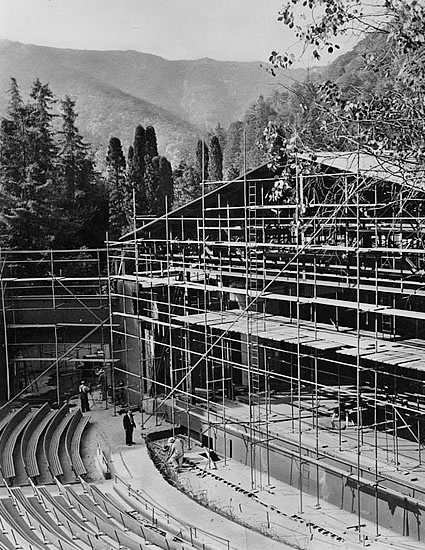 Starting November 1, 2015, the Greek Theatre will once again undergo much needed refurbishment and structural enhancements, while ushering in a new era of public entertainment management– where the City of Los Angeles, through its Department of Recreation and Parks, will self-operate the Greek as an open venue, allowing artists, promoters and the public to book acts directly with the City to provide Angelinos with continued world-class musical entertainment, public and professional performances.